At TEO Solar, we know the importance of maximizing the number of months during the year that you and your family can utilize your pool, as it ties in to BBQ's and family fun! 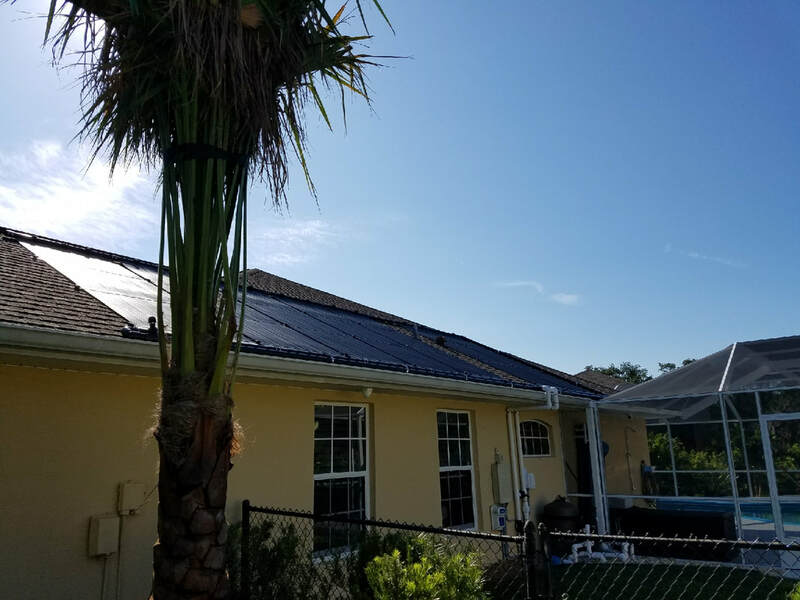 Over the past several decades, we have installed solar pool heating in Daytona Beach, New Smyrna Beach, Palm Coast, Port Orange, and all the surrounding communities. Our solar pool heaters will extend your "swimming months" by two to three months per year, which is substantial given the investment most homeowners make in their swimming pools. Your swimming pool was a major investment, whether it was part of your home purchase or added later, so it makes sense to make another investment at a fraction of the price to maximize the fun and value! And you can trust The Energy Outlet for the highest quality installation in the market. Our solar pool heaters are low maintenance, and highly effective at warming your pool to a comfortable temperature when your neighbor's pool is still a little icy! We will help you to strategically place your solar pool heating system for the optimal effect, while also considering our efforts to hide the system as much as possible. It is always a balancing act, and our professional technicians will advise you through every step of the process. We have several decades installing solar pool heaters for residents in Volusia, Flagler, and all the surround communities. We can meet with you and do a free consultation, and advise you on the many benefits of a pool heating system powered by the almighty sun. We can also advise you, based on anticipated running times for your pump, what you should expect to save. Solar pool heaters also have a quick return on investment, comparable to a solar water heater. So in addition to the many other benefits solar pool heating will provide to your family, you can expect a return on your solar investment in just a few years, which makes the decision even that much easier. So if you and your family uses your pool on a routine basis, a solar pool heater really is a must. Like all other solar investments for your home or business, once they're paid for after a few years, after that it is money in your pocket each and every month. Not to mention the increased home value that you will realize as a result of these wise investments. Call TEO Solar today at 386-437-2671 for a free quote on a new pool heater for your home. The estimates and advice are always free, and our goal on every project is to exceed your expectations.